2. Competitive Demand - This refers to demand of products which are close substitutes of each other. For example, tea and coffee. 4. 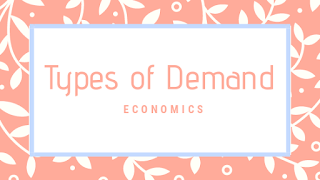 Direct Demand - This refers to demand of products which are directly consumed by people. For example, all consumer electronics. The demand of these products does not depend on the demand of any other product. These products are directly consumed by people. For example, the demand of a washing machine does not depend on the demand of any other product. The washing machine is consumed (used) directly by the people. 5. 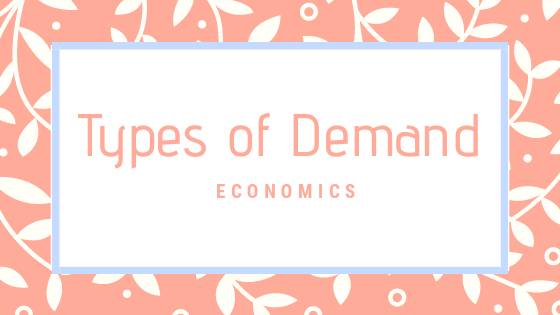 Composite Demand - This refers to the demand of the products which have multiple uses. For example, electricity, milk etc. These products have multiple usages and can be used for a variety of purposes. For example, electricity is used to run TVs, washing machines, computers, music systems etc.